Completed Schools - Spring Valley Rotary Schools To End Poverty (S.T.E.P) Inc.
Our third school, that S.T.E.P. helped to fund, was the construction of the McCooks Penn Primary School in Jamaica, West Indies. It was dedicated in February of 2013. This new school increased the amount of classrooms for the students and added a computer lab.See the before and after! 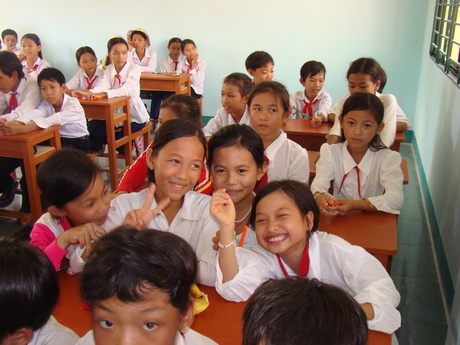 Our first school, The Rose School was built in the Central Highlands of Vietnam. It has an enrollment of 500 Montagard children from 6 different ethnic tribes. The school consists of 11 classrooms, 4 bathrooms, a music room, a library, a kitchen, a large meeting room and administrative offices. 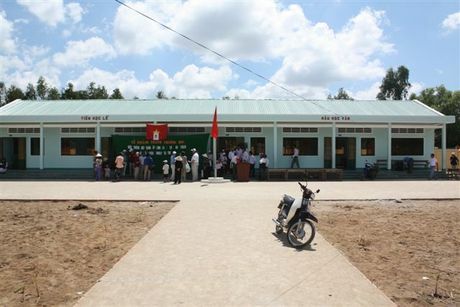 The cost to construct this school was about $120,000. Since it was buil, S.T.E.P has provided an elevator, water treatment system, and an addition. 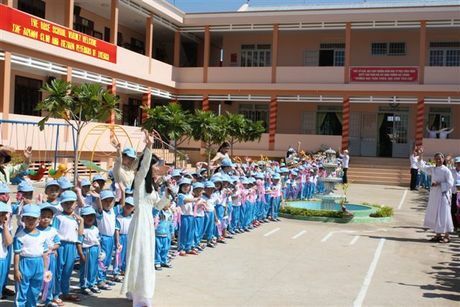 Our second school, Bac Lieu Elemetary was constructed in the southern most province of Vietnam. It has an enrollment of about 165 students.The cost to construct this 4-room school with two bathrooms and a playground was about $40,000. 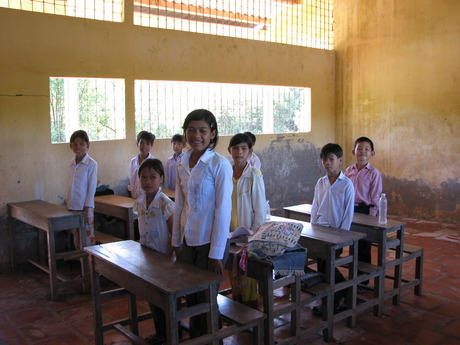 The original school flooded during the rainy season and was covered with mold on the floor and the walls. The new school was dedicated by S.T.E.P on March 25, 2009. The average daily income in this area is less than a $1.00 a day.